For those who love herbs and flowers but are bound to live in an apartment, learning to start an apartment garden provides the opportunity to satisfy in your hobby while living in a limited space. Especially if you have a sunny, bright window, you can begin your apartment gardening easily. Use these simple steps below so you can start raising your apartment plants right away. First think of how much sunlight your location will get, as it defines what you will grow and where you will be able to raise them. To begin with, take a look at your apartment spaces, and then make a recurring sketch or take a photo of the place throughout the day. Then, evaluate how much sun is efficiently available and then search for plants that suit your location. Balcony. Accentuating your balcony with the ideal herbs and flowers can add vibrant color to your patio. Handrails. Hanging plants can work well with handrails, adding beautiful accents to an otherwise practical section of your apartment. Windows. 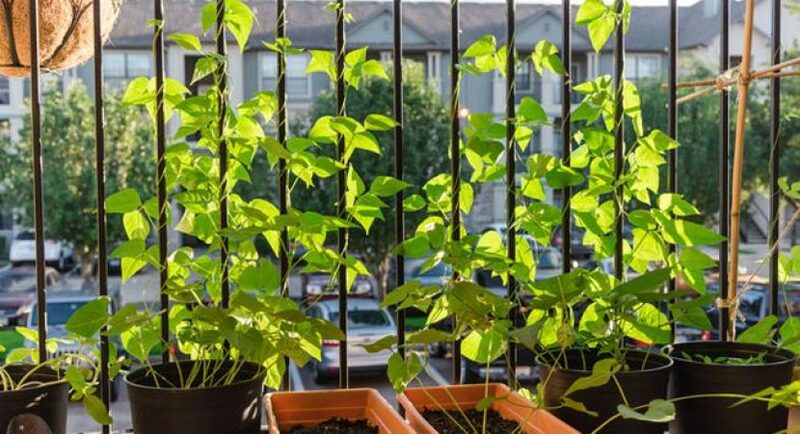 A substantial movement has begun among urban apartment residents looking to enhance their ability to grow plants and gardens. Sure, a bunch of flowers in your windows can add a colorful exterior environment. It is especially useful if you’re living in an apartment and have a limited living space. Thus, take one or two plants, excellent for small spaces, in an area where you identified they’d get a good light, won’t be in a mess, and that you will be able to observe and enjoy their presence. Since you can’t be a master gardener overnight, choose those plants that are hard to kill and survive easily, then consider to start from there. More so, if you want to raise food plants, try planting tomatoes, bell pepper, or lettuce since these plants are easy to grow. Limited spaces inevitably demand small-space gardening solutions, and a pot in a corner filled with plants up to its edges is not a good one. Not only will your plants in the full container be unhappy and have not enough room to grow, but you can do better with a touch of creativeness and effort. If that’s the case, you can turn your old tin cans into space-saving containers for herbs, but make sure to cut some holes in the bottom to drain excess and unnecessary water. More so, you can grow some herbs on a small plastic bottle and hang it near the windows so it can gather enough light while saving you some space. The fundamental rule of doing something in small spaces is to maximize the vertical space. These spaces are usually unused, and people often have an instinct to look only at floor space for their expansion plans. Therefore, a vertical bamboo planter, a wall-hanging plant holder, and even an upside-down planter that you can hang just anywhere. In addition to that, you can also turn your old shoe organizer into a classic vertical garden. When it comes to gardening supplies such as lightings, humidity tents, and planters, the wide variety of choices available in the market can be overwhelming. However, one reliable solution is to have the indoor gardening equipment. Most of these kits include everything you may need to get started and are usually designed to look attractive and match in with your apartment decoration. In today’s generation, most of us don’t always have access to sufficient garden space. Particularly on condo and apartment areas where the outdoor and indoor spaces are such limited. However, you can still achieve a vibrant garden inside your unit with the help of those ideas listed above. In addition to that, if you’re in search of an apartment that will suit your gardening hobby, you can visit yournextplace.ca and other sites online to gather some details.